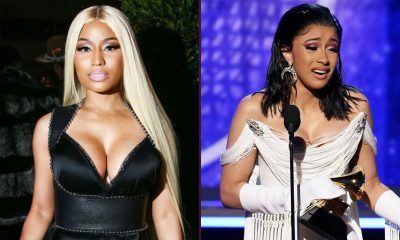 Nicki Minaj was not here for the shade during Grammy night. 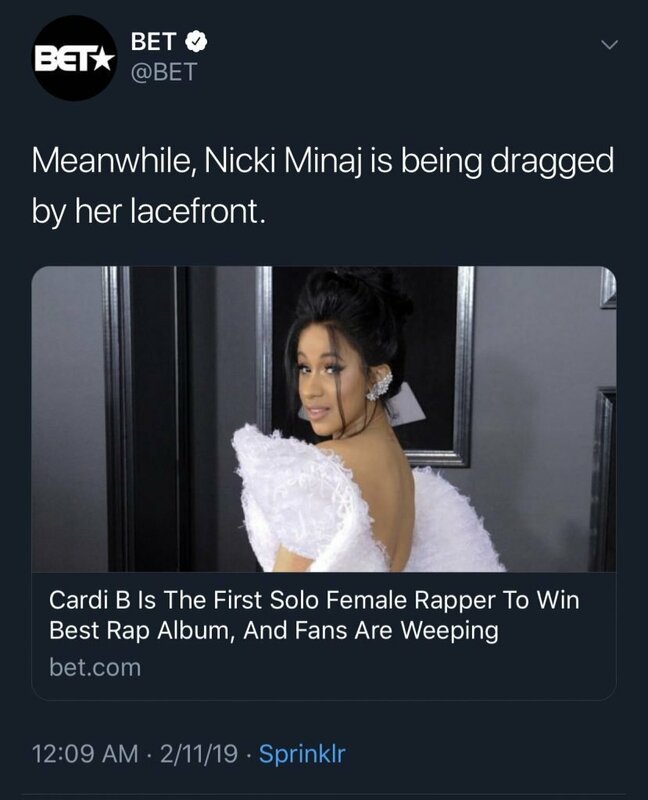 BET posted a tweet that got the attention that they didn’t want after Cardi B’s ‘Invasion of Privacy’ won best rap album. 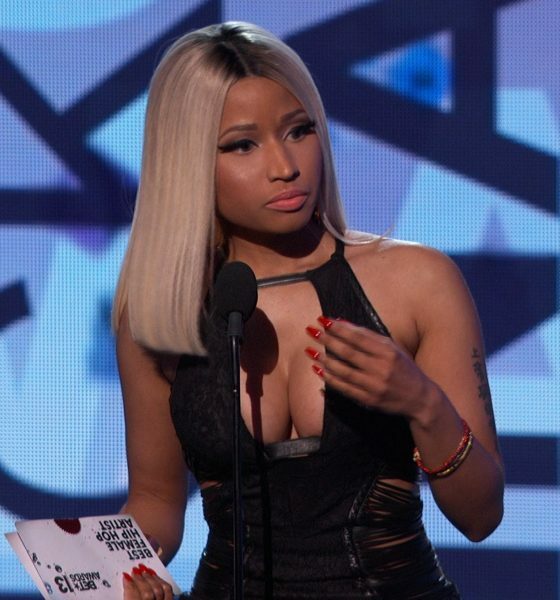 Someone thought it would be a good thing to shade Nicki for not receiving a Grammy. It don’t go over well. 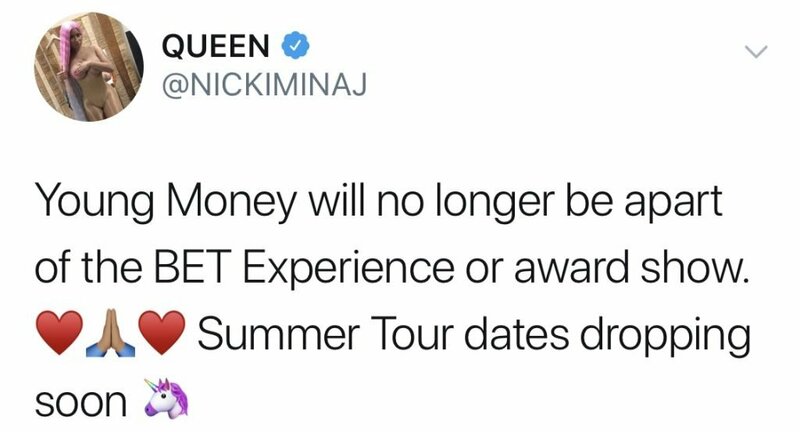 Sis was not having it and announced that Cash Money will not be working be apart of the BET Experience Tour. 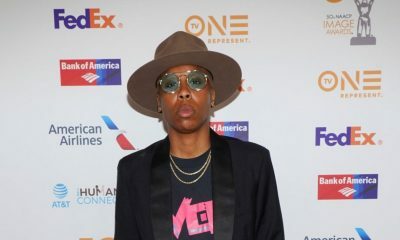 BET tried to clean house be releasing a statement on the matter but didn’t seem to take much accountability. Take a look at the statement signed by “BET Spokesperson”. Not sure if Nicki has accepted the apology but this a moment that BET can learn from this. 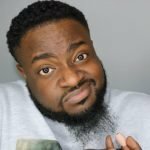 Their social media account have started to look very click bait-ish. If BET wants to be ‘The Shade Room’ they can hang it up because it will never happen. BET doesn’t need to become ‘The Shade Room’ they need to just continued to provide quality content. Focus on that.